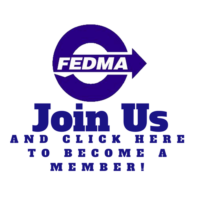 Why is DDV a FEDMA member? FEDMA is the Federation of European Direct and Interactive Marketing and represents the interests of data-driven marketers from across Europe in Brussels. It operates mainly through the participation of European DMAs such as the German Direct Marketing Association (DDV) and significant companies. FEDMA is one of the most respected advocacy organisations in Brussels. Its industry code is the only one approved and endorsed by the Article 29 working party. The German Direct Marketing Association (DDV) is one of the largest national associations of dialogue marketers in Europe and one of the top associations of the communications industry in Germany. DDV represents both the interests of users as well as of the service providers. Its members represent the entire value chain of dialogue marketing in Germany. Founded in 1948, DDV today stands for continuity, experience and foresight – the best conditions to always keep the right course.